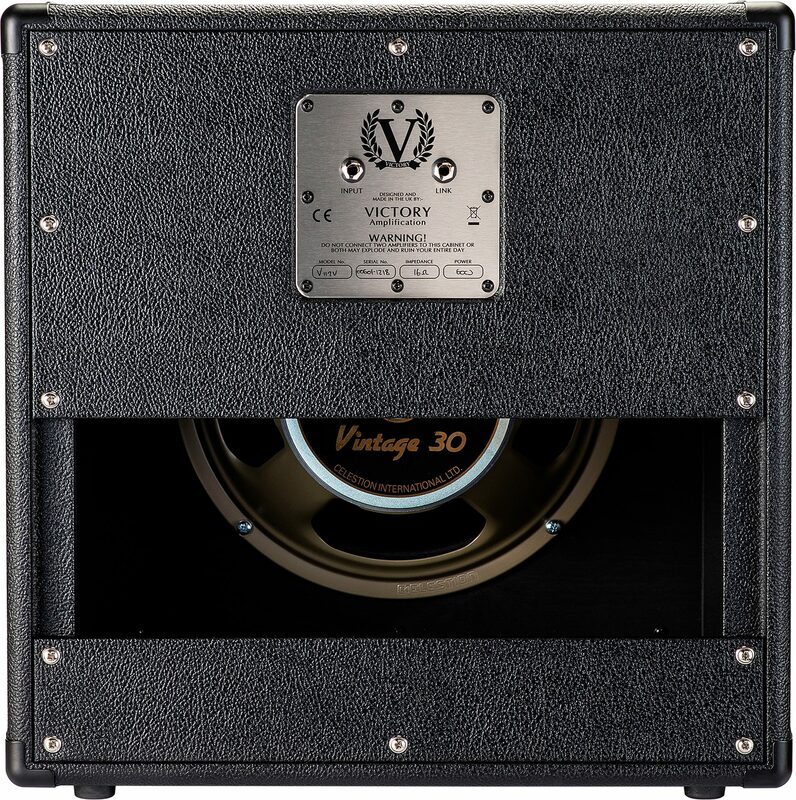 The Victory V112-V Compact Guitar Speaker Cabinet house a single Celestion Vintage 30 woofer. This is a highly portable rig when paired with V30 The Countess, VX The Kraken, BD1 and RD1. It can also work with The Sheriff 22 and sits perfectly under V45 The Count for an awesome mini stack. Speaker Characteristics: The Vintage 30 is a very efficient (100dB), relatively powerful, large-magnet (Ceramic, 50 ounce) 12-inch driver. Clear highs, projecting upper mids and strong bottom end make it a favorite with players who like modern gain sounds and/or high headroom cleans with minimal speaker breakup/distortion. 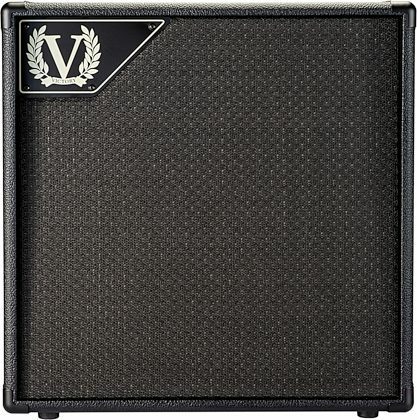 Despite the name, it's less 'vintage' sounding for medium gain/classic rock than either of the Celestion Creamback drivers in Victory's other cabs. The high sensitivity/efficiency rating makes the absolute most of every watt you throw at it so your amp will sound 'louder' compared to using a Creamback 65. It's a good choice if you want maximum power, punch, clarity and headroom.